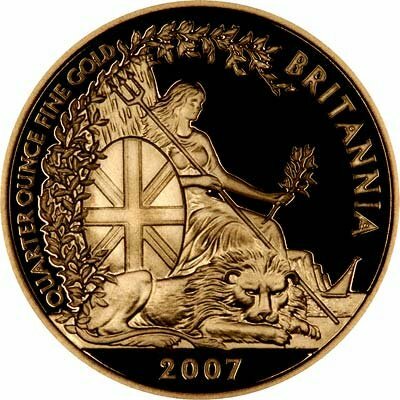 Quarter ounce Britannias have a face value of £25, and contain a quarter ounce of gold. 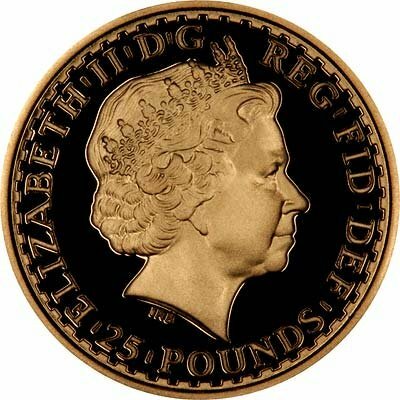 Fractional sizes such as one quarter ounce are produced in smaller quantities than the one ounce gold bullion coins. Because of this, they will generally have the lowest mintage figures, making them ultimately the rarest. This will also provide the greatest challenge to any collector wishing to acquire a complete date set. If you fancy a challenge, just try getting one of every date of non-proof Britannias, either just the quarter ounce versions, or all four weights. It will be much harder than you think! Ask* = We do not know when, please watch this page. Please note all prices may fluctuate.